Bags will be prodce as per customer requirement like 5 Kgs, 10 Kgs, 15 Kgs to 50 Kgs..
we offer you Net bags for Vegetable & Fruits packing. our organization, plastica industries, is a reputed manufacturer, exporter, and supplier of excellent grade monofilament net bags. these bags are manufactured by our professional team using optimum quality monofilament yarn that is procured from the most reliable vendors. 22 inch (width) x Desired Height. We are amongst the reputed organizations, highly engaged in manufacturing an optimum quality range of China Net Bag. Kast Bhanjan Textiles Pvt. Ltd.
We are the leading manufacturer and exporter of an enhanced quality Leno Mesh Bags. The offered products are fabricated with quality approved material that is sourced from trusted vendors in the market and contemporary tools in adherence to set industrial norms. 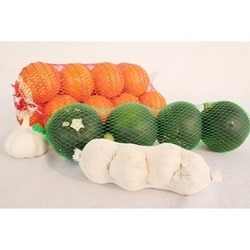 Mesh Net Bags as produced HDPE for packing Onion, Garlic and Vegetables. Bags are made 5, 10, 20 kgs Capacity as per required Size. 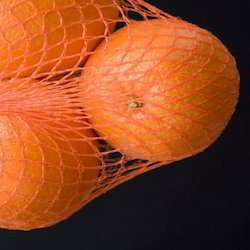 We hold expertise in offering our clients an exceptional range of Onion Packaging Net Bag that is acclaimed for long-lasting nature and light weight. We offer them in varied capacities and are used to store the onions. They ensure complete air-passage for the onions thereby maintaining their freshness.